Mail4Rosey: The Perfect Graduation Gift (Review & Giveaway)! Disclosure: I received a sample product to help facilitate this review, no other form of compensation took place. All opinions stated are my own. Graduation will be here soon and what better way to help your graduate celebrate than by offering a gift that can be cherished for a lifetime? 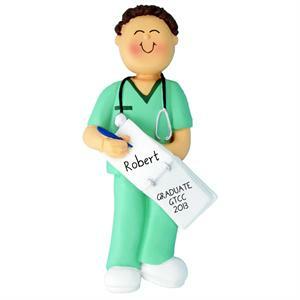 Ornaments and More has a wonderful collection of personalized graduation ornaments that your graduate will surely love now and come to appreciate more and more as the years pass. Choose from a wide selection of high quality ornaments, all with a unique style and the option to personalize. These ornaments are truly a one of a kind gift for that special someone in your life. Ornaments and More offers traditional graduation options aplenty and they also have specialized ones as well. 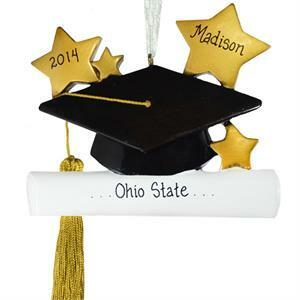 Take a look at the many great graduation ornaments they have available. The chances are good that you'll find just the perfect one you would like to give to a very special graduate. You can learn more about Ornaments and More by visiting their website. You can also follow them on Facebook, Twitter, and/or Pinterest. One lucky Mail4Rosey reader is going to win a graduation ornament of their choice up to $13.99. US entrants only. I never even thought of a graduation ornament! Very cute! I like the Middle School Graduation Ornament Cap & Real Tassel. My dd will be graduation middle school next month. Yikes! Hard to believe I will be the mother to a high schooler soon! Count me in! I need one! ...or 2! :) great timing on the giveaway! I like the white cap n gown, would work perfect for mu sistee who is high school grad this year. I like the Personalized Graduation Ornament Cap Tassle & Stars for high school. My son will graduate from high school next month-I had no idea there was a website with these cute ornaments!! Adorable-thank you! I love the nursing ornament, as my youngest niece graduates in a few days from nursing school. It would be perfect for her! I like the Graduation Ornament Personalized Keepsake Gift Brunette Female.